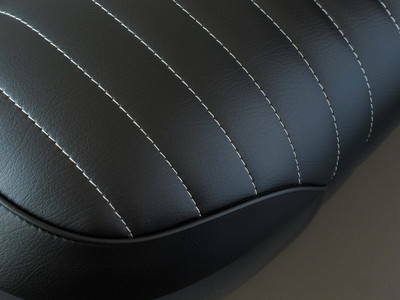 Upholstered in black naugahyde with white stitching. 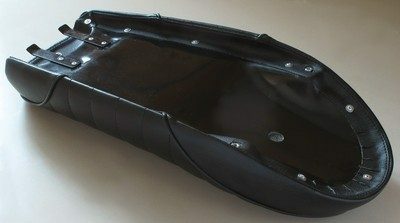 Built on a light weight fiberglass base, the complete seat weighs just 1500 grams (3.3 lbs). This offers an affordable way to shed some weight and improve the looks of your SR project.